Polymers are commonly used in industry because of their excellent bulk properties, such as strength and good resistance to chemicals. Their surface properties are for most application inadequate due to their low surface energy. A surface modification is often needed, and plasma surface modification is used with success the past decades. In the past few years, also plasma surface modification for biomedical polymers has been investigated. For biomedical polymers, the surface properties need to be altered to promote a good cell adhesion, growth and proliferation and to make them suitable for implants and tissue engineering scaffolds. This review gives an overview of the use of plasma surface modification of biomedical polymers and the influence on cell-material interactions. First, an introduction on cell-material interaction and on antibacterial and antifouling surfaces will be given. Also, different plasma modifying techniques used for polymer surface modification will be discussed. Then, an overview of literature on plasma surface modification of biopolymers and the resulting influence on cell-material interaction will be given. 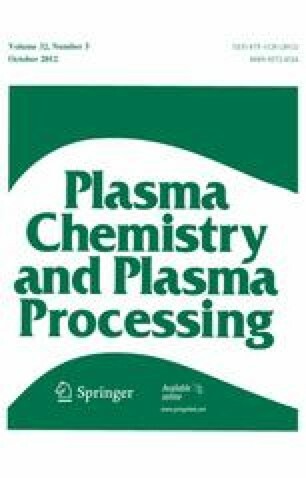 After an overview of plasma treatment for improved cell-material interaction, plasma polymerization and plasma grafting techniques will be discussed. Some more specialized applications will be also presented: the treatment of 3D scaffolds for tissue engineering and the spatial control of cell adhesion. Antibacterial and antifouling properties, obtained by plasma techniques, will be discussed. An overview of research dealing with antibacterial surfaces created by plasma techniques will be given, antifouling surfaces will be discussed, and how blood compatibility can be improved by preventing protein adhesion.